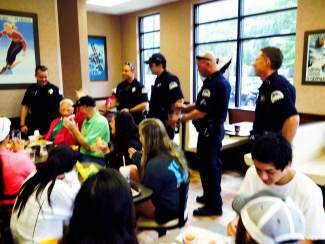 Officers of the Vail Police Department serenade an 80-year-old woman celebrating her birthday at Coffee with a Cop, held at McDonald's in Vail. What a great way to celebrate! And everyone was in key!